A release date and title for the upcoming season of Black Mirror appears to have been leaked on Twitter. It’s been a long year since season four of the chilling, futuristic series were released on Netflix in December 2017, and while many details about season five have been kept under wraps, an accidental tweet might have just told fans there’s not too much longer to wait. 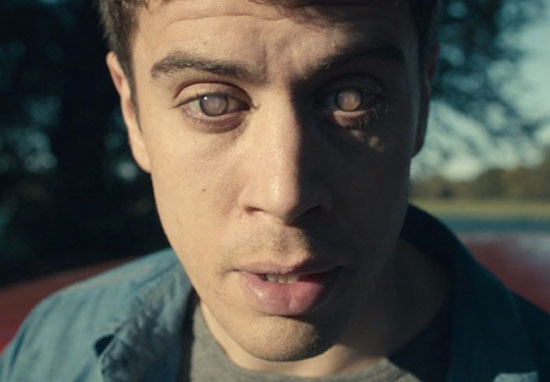 The streaming service announced the new episodes earlier this year along with a video, which showed a collection of screens flickering with previous Black Mirror episodes before faltering to the loading symbol. The teaser ended with the words ‘be right back’, and sharing the video on Twitter the caption read ‘The future will be brighter than ever’. Production for season five has been underway in Croydon, London, where a local high street was transformed into a street straight out of the 1980s, with shops like Wimpy Burger and Chelsea Girl popping up. As the season looks to have been in the making for a good nine months, you’d assume it must be nearing its completion, ready to blow our minds on Netflix once again. Although, I imagine the creators do have to spend a lot of time adding in special effects to really sell us on those futuristic inventions. According to one eagle-eyed Twitter user however, the season really could be almost within our grasp. 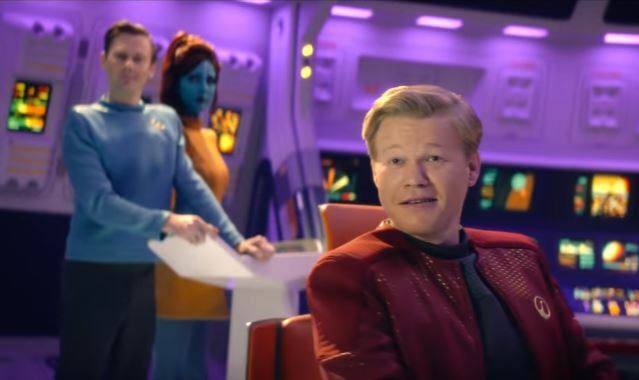 They shared a screenshot which appears to have been taken from official Netflix account NX on Netflix, listing the release dates for various sci-fi shows and revealing Black Mirror season 5 will be hitting our screens on December 28. 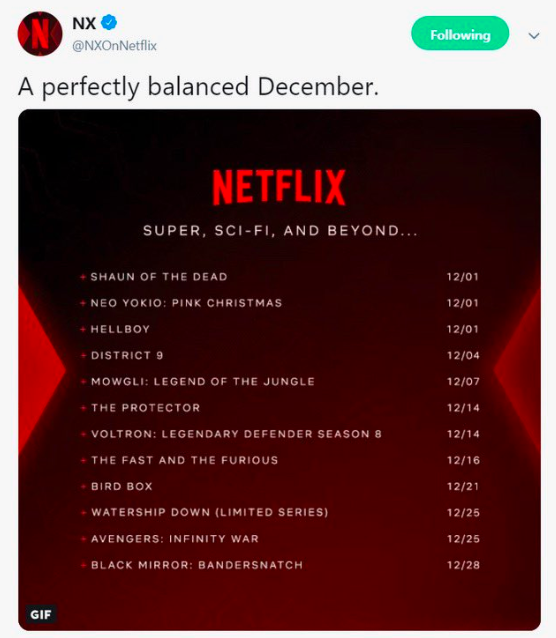 Of course there is the possibility this could have been photoshopped, but as the majority of the other release dates listed line up with what has already been announced as well as following on from last season’s December 29 release date, the post could definitely be a real announcement which the streaming service quickly decided to retract. As well as the release date, the image leaks a Black Mirror title, naming it Black Mirror: Bandersnatch. In previous seasons of the show each episode has had its own subtitle, so whether we’ll just be getting one episode titled Bandersnatch on December 28 or whether this is a sweeping title for the whole season is still up for debate. These new speculations add to a couple of other rumours about the new season that have already circulated, such as the inclusion of an interactive episode where viewers can choose the fate of the main character, as well as the possibility of Miley Cyrus having a role in the show. Hopefully all the rumours will be confirmed before too long!